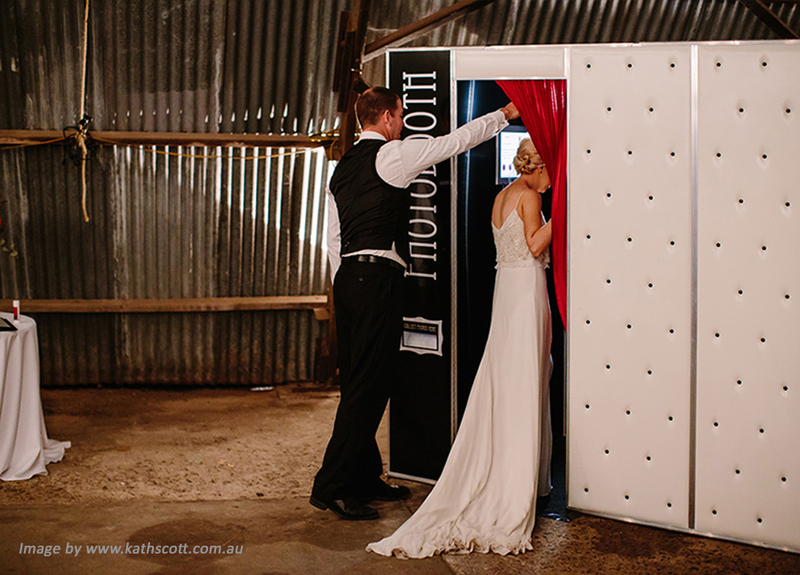 If you have been to a wedding with a photo booth you’ll know that a bit of photo booth magic is just what every wedding reception needs. Not only does In The Booth give your guests fantastic entertainment for the entire reception, you also get a unique photographic record of the evening in a wonderfully relaxed and candid way. If your guests aren’t dancing or eating, we can guarantee you will find them in the booth! Your guests enjoy unlimited prints and video messages for the duration of the hire and you receive high resolution digital negatives of every individual photo on USB after your wedding. Add to this our professional, studio quality guest book for your guests to get creative with on the night, and you will have a fantastic keepsake of your day that leaves the traditional guest book behind. A photo booth strip has the uncanny ability to become an instant treasure. One of our favourite things to see at In the Booth events are guests wandering around with a shirt pocket or an evening bag full to the brim of their print collection! We just know those prints are going to be proudly displayed on the fridge by the next day. In a world where we’re surrounded by digital images, there’s something becoming almost sacred about a printed image, don’t you think? We spend half our lives snapping away on our phones, yet rarely do we go to the effort of getting our photos printed. 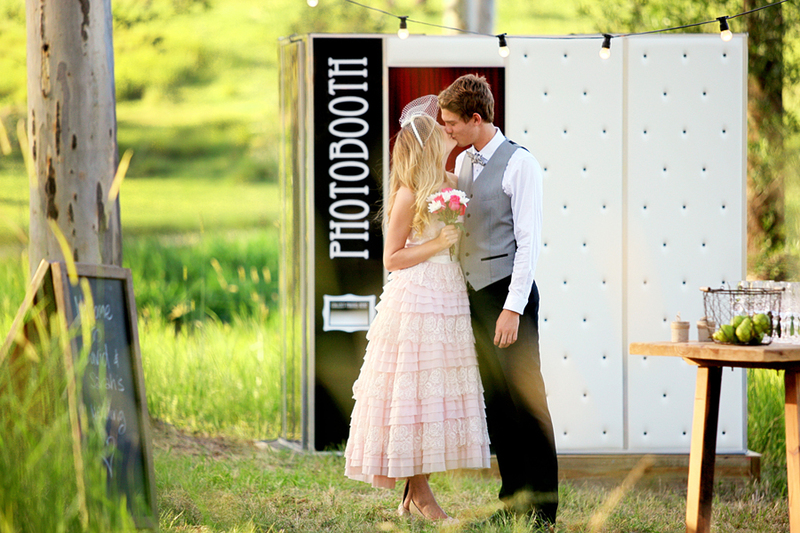 Our booths ensure your guests walk away with handfuls of tangible, printed memories of one of the most important days of your life. "Wow, thank you so much! We absolutely loved having In the Booth at our wedding! It was such a great way for us to get everyone up out of their seats and get their photos taken so we’d have a lifetime of memories to look back on. Brett was fantastic! Very engaging with all our guests and encouraging of everyone to get up and give it a go. The photo quality is great, the booth is huge so heaps of us could fit in at once, the album is the perfect added extra, the outside of the booth looks great and best of all, it was loads of fun!! 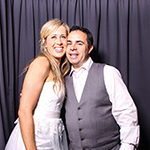 Thanks so much for helping us make our wedding night so memorable." "I must say it has been an absolute pleasure dealing with your company, the whole process has been so smooth and hassle free from start to finish. 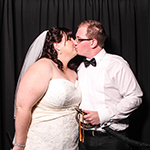 The quality of the photos was so much better than I had ever expected and the feedback I am getting from people that attended the wedding usually starts with how fantastic the photo booth was. I would not hesitate in recommending your company to others and hopefully will need your services again someday in the future." 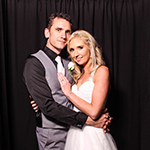 "I want to thank you and In the Booth for the amazing service and product you provided us with on our wedding day. The quality of the photobooth that you have and the service that you provide surpasses every single other photobooth company that we looked at. 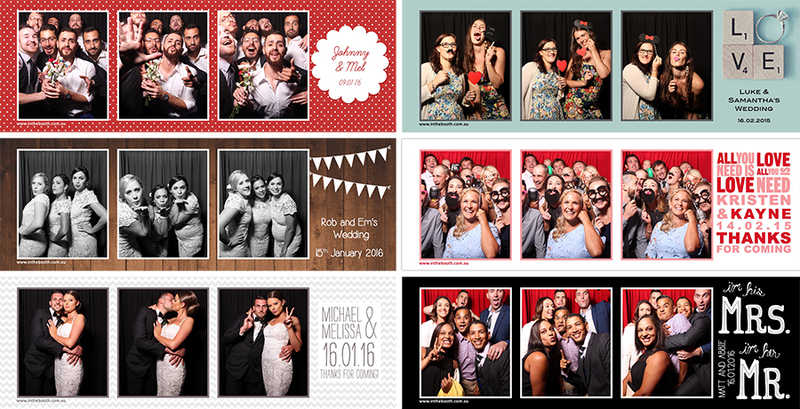 Having the photobooth at the wedding was such a hit with all of the guests and everyone commented on how it was the best photobooth they had ever seen at an event from the look of the booth, quality of the photos and even size of the booth (which fit 18 people in at one time). The service didn’t just stop with the booth though. The guest book that you brought with you so that guests could put their photos in there and leave a written message was of a beautiful quality and is now a cherished part of our wedding that we took away with us. People also loved the photo highlight reel that we were given. Nothing was too much trouble for you. Many thanks again."